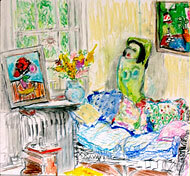 Most but not all HMAP members are part of The Artists and Writers Group. The "A&W" meets regularly on the third Tuesday of each month except in August. 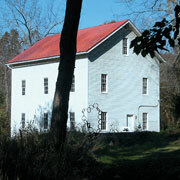 Meetings are hosted by a member or held at the Millers House next to Hyattstown Mill. At the meetings, group members update each other about their work and or participate in discussions of current issues with a group leader or, when possible, a guest speaker. The gatherings are open to the public and prospective members and visitors are encouraged to attend. Inquiries are welcome.